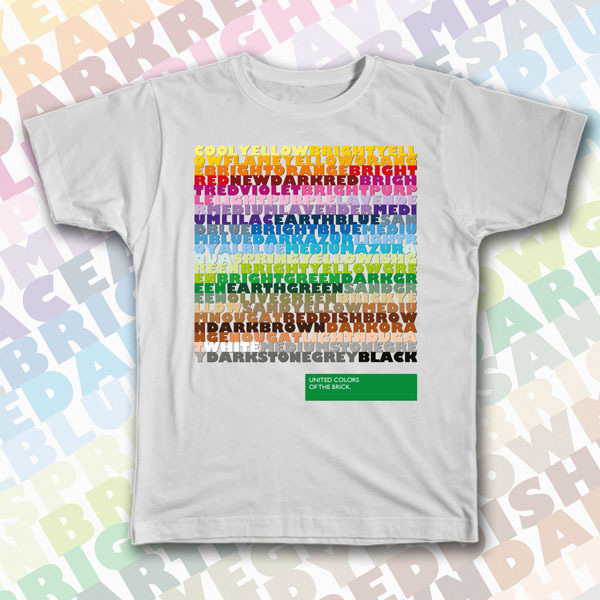 The United Colors Of The Brick | Christoph Bartneck, Ph.D.
Looks like I am in the t-shirt design fever. Here is my latest creation: The United Colors Of The Brick. Please vote for it so that it does get printed. This design is a homage to Benetton and the LEGO Color Palette. UPDATE: The shirt is now available from Threadless.